Having listed the billionaires who fund several pro teams, time to take a look at their impact on the sport. It’s great to see these people spending their money on the sport. But at the same time a large proportion of their money isn’t investment, merely that goes into the sport and straight out again. Along the way the money can be useful but it can also push others out of the way. Wealthy team patrons aren’t new. If anything pro cycling is the odd sport out with teams named after companies. Many a football squad, motor racing outfit or baseball club belongs to a wealthy individual whilst pro cycling teams have typically been created in the name of a brand, from Alcyon to Nivea or Quick Step over the past 100 years. But that’s the point, tradition says cycling teams are supposed to have sponsors and we see several squads can’t find a backer. Look at Orica-Greenedge, it might have a wealthy benefactor thanks to Gerry Ryan’s generosity but the Ryans would surely love to find another sponsor to complement Orica. The lack of sponsors is a fact but it’s not eternal, merely a case of supply and demand. Some might be put off by the doping reputation or an audience that doesn’t offer the right demographics. But for the others the price isn’t right. You know the deal by now, cycling is supposed to offer big publicity for a small outlay. Well if the outlay was smaller then we’d have more sponsors. Reductio ad absurdum, if it was cheap enough then every baker and candlestick maker would fancy their name on a World Tour jersey in exchange for €5,000 a year. But in the absence of a queue of sponsors we have arguably six of the 18 World Tour teams supported by wealthy benefactors, that’s including Astana which relies on political patronage. BMC, OPQS, Orica-Greenedge, Katusha, Tinkoff-Saxo. I know the likes of Belkin and Sky made the “rich list” but those teams are sponsored by large corporations. In bidding above the rate that corporate sponsors pay, these “sugardaddy” team owners exclude the regular sponsors who get priced out. Now taking more money out of a Russian or Swiss bank account and putting it into cycling has to be good, right? Yes and no. Yes because its paying for some good things but no because it distorts the market for teams and second spending on sport invokes the “prune juice” phenomenon. We’ll get back to the good things in a second. British entrepreneur Alan Sugar once described compared spending money in the English Premier League to prune juice because any money that is poured in flows out the back in no time. Sugar saw increasing TV rights money and other revenues but as soon as his football club and others in the league got hold of the cash it flowed straight into player wages. The quick take seems to be that clubs were competing for talented players and new money coming into the sport just saw player wages bid higher, the clubs never became more profitable or financially secure. If anything the larger sums available for the winners just encouraged team owners to double up their bets. The same effect is seen in other domains like Hollywood and is likely true in cycling. When a new team comes along with more money than anyone else it can outbid rival teams and establish higher wages. Of course higher wages are good if you’re a rider but if this is just inflation then only the riders benefit and this isn’t always even. The best riders will get most of the new money whilst more lowly riders on modest teams won’t see much at all. What about those good things? Extra spending doesn’t just go on wage inflation. A well-resourced team has more staff, it can spend money more to improve the sport. Over the years the cost of funding a team has risen but with it comes team buses, chefs, coaching staff, logistics managers. It’s also brought larger teams too meaning more riders in the peloton and indeed more peloton with some teams able to race three events simultaneously. So how you do get the good things without the bad things? One solution is a salary cap. These are common place in US sports to address this very problem (and to ensure team owners profit at the expense of athletes?). But franchises and other fixes are alien to European sport. Or at least it has been. Recently rugby league has used a salary cap and soccer is about to explore the issue too with a new rule that clubs must break even, at least over time. One paper by Swedish law lecturer Johan Lindholm has explored whether US-style wage caps could be introduced in Europe. Lindholm suggests they’re unlikely under European law or at least open to challenge. Pro cycling is also a realm full of side deals and more. So irrespective of the legal principles, capping salary could be a challenge. All riders get a salary but many get paid for image rights and earn other endorsement money. You could easily imagine, say Alberto Contador earning €1 million with the new Alonso team but then taking extra pay in the form of sponsorship from Specialized, Giro and others. The more you cap a salary, the more the sponsors pay and in no time things are out of control again. In response to the two Rich List pieces some said it’s fortunate we have these benefactors otherwise some teams would not exist. True but it just means that others would take their place. If BMC or Orica-Greenedge were not around then the riders would be on other teams and two other teams would fill their place in the World Tour. So the sport would go on, just on a reduced budget. One factor that deters some sponsors is the bank guarantee demanded by the UCI. This is protection against financial problems, for example the team collapses or wages are unpaid. But it is expensive, north of a million Swiss francs (over US$1m) and must be paid before the team even starts. It’s a good idea but does mean a high upfront payment. Aussie newcomers Drapac have had to pay “in excess of $500,000” to move from the third tier UCI Continental to UCI Pro Continental. 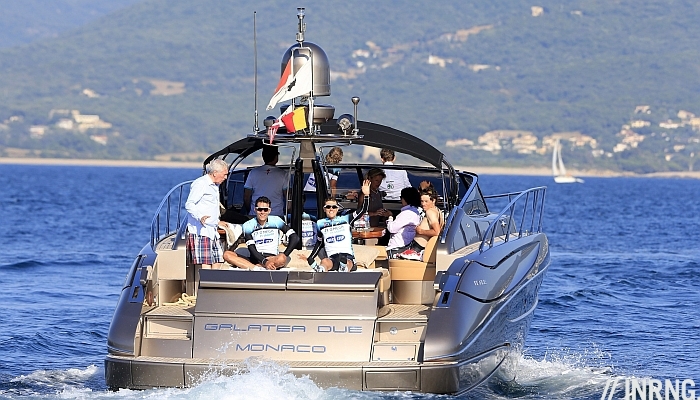 More money in the sport should be a good thing and it does help create extra jobs and when billionaires have teams to play with then riders are likely to benefit from the bidding. In a sport where riders and teams compete we expect owners and sponsors to form part of this competition too. But there’s a paradox because more money upsets the system, it breaks the equilibrium. Wage inflation created by a couple of high bidders can destabilize in the same way an oligarch sailing his mega yacht into a small port rocks every other boat. Whether teams are funded individuals or corporations shouldn’t matter. Ideally there’d be a short queue of sponsors waiting to come in meaning if an existing team owner gets cold feet or goes bankrupt then there’s someone else willing to take their place. But this position is hard to achieve, even if the law allowed for franchises and wage caps. Until then the sport will remain a free-for-all where a team’s owner can be as important as its sprinter or stage race star. I concur with the bundle, well thought out and accurate. “If BMC or Orica-Greenedge were not around then the riders would be on other teams and two other teams would fill their place in the World Tour.”- but in 2014 there are only 18 teams at this level vs 21 or 22 in 2013 as I recall, after the fiasco with Katusha. There are plenty of those who wish for pro cycling to become a big-time sport like MLB, NBA, NFL or European football, but my question is WHY? I don’t see things being a whole lot better there unless perhaps you are a plutocrat who owns one of these teams and gets plenty (at least in the USA) of subsidies and tax breaks. There are 18 in the World Tour but 19 last year. Two teams left but… Europcar moved up to make the regulation 18. If we lost another World Tour team then it’s possible Cofidis or NetApp etc get moved up. The sport can find its own level but the coming and going of sponsors and teams means it’s always changing. That’s ok in some aspects, we get rid of some teams and newcomers appear but it means uncertainty for existing teams too. Belkin’s “revenue” is barely north of $1 billion so I won’t count it as a large corporation. If we get any more doping scandals, I’ve the feeling that Pipkin will head for the door right away. I agree here with Larry T. Why do we need the sport to grow bigger. Unless we adopt the franchisee model of US sports, there will be ups and downs. Most of the football clubs in the world are struggling but they have existed for generations now. As you said, as big sponsors disappear, smaller ones will step up and the sport will find its level. Although, with increasing popularity of cycling in the world, I’m only optimistic about the future. “The more you cap a salary, the more the sponsors pay and in no time things are out of control again.” I don’t follow your logic here. If there is a collective bargaining process that creates a salary cap but also allows for individual sponsorship deals, how will things get “out of control”. What I’m getting at is one salary contract is easier to value and monitor than 10 side sponsorship agreements, offshore image rights and other payments that are harder to manage and keep track of. Cap salaries and the chances are riders will seek to earn money outside of the salary but this personal sponsorship and team sponsorship can be hard to separate. Imagine a rider backed by SRAM on a team sponsored by them too, there are more steps to unpack the contracts. As far as I know, the salary caps in Australian football codes all include 3rd party payments. There’s been a couple of cases of teams getting fined and/or losing competition points for hiding salaries in those payments. Presumably, any salary cap rules for cycling could be written the same way. As you say, it’s not easy, but it can be done. Spot on RayG, Australia’s biggest local sport AFL has salary caps with 3rd party payments covering websites, image rights, etc. Rugby League too. Each year there is a ruling and controversies though, as a team’s sugar daddy pays the star player through his business (I think one was named a ‘global green embassador’ for a large packaging company). It takes a lot of management, on both the teams and league, and I can’t imagine what it would be like trying to cover riders from Katusha, Astana, etc. There have been some very corrupt instances however in rugby league, with the premiership winner being stripped of their points and previous title. The team was signing two contracts with players and managers, the first one going to the league administrators and tax office, with the second contract including all the real payments, etc. and not for anyone but the club and player. Melbourne Storm was found guilty, but all the rest of the clubs were doing it but are part of the ‘old boys’ club so weren’t busted. This shows the benefit of a riders’ union for both the riders and the UCI. The UCI could agree a collective bargaining agreement with them, and all riders would need to sign up to it. The UCI would need to give a lot away, most likely in terms of benefits and share of profits to the riders. The NFL in the States always perplexes me how they have no sponsorship on their jersey, and none in the team name, yet are so much better off financially. Must read more about that. PS. a Bank Guarantee is not the total amount being held (ie. Drapac would not be putting all of the amount in the bank), rather they would pay an annual fee (%) for that amount being available if needed. I am sceptical at the amount they are claiming ($500k) isn’t just the other set up costs to move up into the big leagues. PS. Highly recommend ‘Soccernomics’ for you to read about this, which is a variation on the ‘Moneyball’ concept (the book, not the movie). Sorry RayG, the rest of that post was meant for Mr. Inner Ring. How about options then? eg Froome will be paid $1m including all sponsorship because that’s the cap, but would that count an option to buy 500 SKY shares in 10 years time? ie, the point being that people have always found a way around salary caps if needed, even if only a £100 in a brown paper bag under the table. I suppose this depends on what you mean. One can be pushed out of the way, but that doesn’t mean they get pushed out of the sport. Rather than leave, one can be a minor sponsor of a prime team or title sponsor of a smaller team, which may or may not one’s goals. It seems to me that we lost both World Tour & Pro-Conti Teams for 2014, so clearly no one was pushed aside. What I do agree with is the overall cost reduces the pool of potential commercial sponsors and benefactors. I don’t believe salary caps are the answer, but a restructuring of the sport itself, so top teams do not need 25 riders, and the commensurate staff & infrastructure. As I’ve stated many times on this site, the WT is currently hurting cycling. The vision may be the future, but lots of things need to change between now and realizing the dream. Interim steps anyone? A read and a lot of issues explored but no answers. I think the problem in cycling is that all the income is from sponsors not TV or from winning/entering competitions. Also I believe that the teams are not allowed to make a profit and so can’t build up a contingency fund. Maybe an answer is that prize money from races shouldn’t go to the rider but to the team or at least a % and that goes into an account to help build up a contingency und for that team. The prize money from the Tour is traditionally given from the GC riders to his team (except a certain Brit who was several months late in getting this over I heard). The GC winner splits it between riders and support team, plus buys a decent present for the team riders on top (ie. Contador bought his boys a Breirling watch). The key is the race owner ASO, the sooner they stop squeezing the golden goose and let it eat a bit more this won’t be an issue. Cycling is one sport where the players and teams get nothing in terms of media revenue. 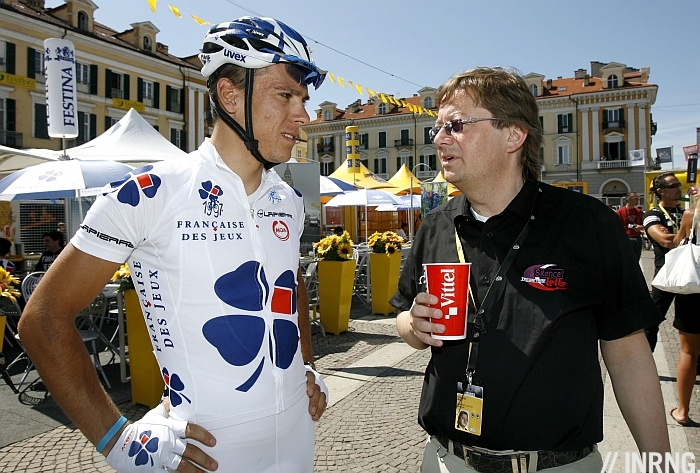 Maybe with Fat Pat and his cronies gone the ASO might sit down with Cookson and a riders’ union to start setting a framework for the future of the sport, rather than the teams and riders being left out in the car park. I understand that is what happens to the winnings currently and this is because the sport started out as an individual one and has changed into a team one. I can’t think of another team sport where a single individual collects the prize money and decidces what to do with it (as you say there is tradition/culture that means it gets shared around the team members). All other sports the team collect the prize money and maybe contractually obliged to give some to their players/coaches but it’s a source of income for the team. I don’t see this as the answer but could be part of it. The answers are the hard part! A contingency fund is interesting but as the “prune juice” hypothesis suggests, no teams will run a surplus, they’ll simply spend the extra on more/better riders in the hope they win more/get more publicity and can therefore attract more sponsors. Exactly, as Soccernomics points out the football manager gets under pressure to make bigger and bigger signings. One thing the EPL has is the £20m bonus paid to teams who make it into Premier league, that could be paid by ASO (ok, so maybe not that much). In theory teams that make the Tour de France become more valuable and so can attract new sponsors because of the certain extra air time. This is the one bit I don’t understand – ie why teams aren’t allowed to run a profit? Surely it would be better to encourage teams to think long term rather than live hand to mouth annually as they do currently? Would a bit of long term planning like this enabled some of the teams like Euskatel to have survived a bad year and carry on? Teams are allowed to be profitable, they typically just are not. Their revenue is typically limited to sponsorship, and it is spent on capital assets and operating expenses. As INRNG points out, give them more money, and they will spend it. For most it is a struggle for survival, ther eis no long term plan. If teams are profitable, that’s because they get more money from sponsors than they spend on salaries and the rest. Where does it go then? To the pockets or bank accounts of the owner/manager. I think Manolo Saiz owns a palace now. At the UCI sanctioned races I have worked at the prize money was typically paid to the teams, who dispense it to the riders. This was done for tax reporting purposes; fewer forms to file. Plus there are often “team prizes”. Most teams have a formula in which govern how shares of prize money are divided. Speaking of Sugar Daddies Mr. Inner Ring, are you aware of the unsubstantiated story of one rider who was stuck in a contract with his team? The old team were not willing to base themselves totally around him, and he is a particularly demanding type by all accounts. A new team was interested but not willing to pay out the balance of his contract. This is not Wiggins by the way. Not sure what the benefactor got out of it, but the rider went on to win a Grand Tour so the benefactor and the new team win too. My mind is going nuts over the identities of such mysterious characters. Is the bank guarantee a cash deposit or does the team ask a bank to issue a guarantee which could be called if wages are not paid? The 2nd solution is far cheaper as the team would have to pay for instance a fee of 1% on 1M EUR (i.e. 10 000 EUR per year) to have the guarantee issued by a bank instead of having to pledge 1M EUR of cash. It’s not quite a cash deposit but it is the more expensive option as it seems teams cannot easily buy this insurance for a fee, it has to be a bank guarantee that the UCI can claim. The BG is a set amount that the bank agrees to have available if one of the signatories calls it in. The team pays a fee of x% to the bank for this. Quite different to plonking the cash in a deposit account. I’m reading a lot about the teams, sponsors, ASO, riders, a rider’s union that doesn’t really exist. But what about the UCI? How does it differ from MLB, NBA, NFL? And how could it be changed to more effectively govern the sport? To me, an ignoramus in these issues, it seems like it is the one unified element in the sport. Contracts, sponsors etc. aside, you have to have a UCI license. I think forming a nexus between broadcast rights and revenue and the UCI would provide more security to more sponsors in a way that could be managed. For example, it is awfully hard to watch races in the US (I don’t watch TV and so don’t have cable, but do watch online). But here is an opportunity to unify broadcast on the WWW globally. Imagine the flow of cash if it were reliably broadcast in North America? The UCI is just the governing body charged with technical regulation, it doesn’t have much say on the business structures and cashflows in the sport. Each race owns its TV rights, the Tour sells the rights to the Tour, the Tour of Flanders sells its own rights, the Giro the same and on. Past attempts by the UCI to get involved here have been blocked by the races who don’t want to surrender their income. It means different races appear on different channels and some appear on none in some big countries. An eternal problem. think of F1, with the ASO as Ecclestone, and the UCI as the FIA. I suppose the organized chaos is part of the charm of bike racing. Anyone who has ridden in the bunch, pro or amateur, understands. Somehow out of the chaos a fluid and orderly mass forms. Maybe it would be a shame if, like everything else, it became an organized monopoly or heaven forbid the government get mangled into it like in the US. I guess that’s why it is a little worrying that things seem to be assimilating into the ASO oligarchy. And the irony is that if, via UCI or other body, all the races were given better exposure globally in the media they would potentially see more revenue, and maybe there would be more races? Or maybe as Inner Ring has pointed out it would just be more money feeding the same problem. Purely selfish here, but I sure wish it were easier to watch in the US. Cable or no, which is to say via WWW. It’s also important to step back and remember that, regardless of where you want to allocate the blame, the world generally is in an economic contraction and there is a present trend of a growing disparity of wealth distribution. So, with countries worrying about bankruptcy and “austerity” a popular buzzword, the sport can only be affected. This is temporary and historically it has been worse. As to salaries, I believe that every rider should get the most aggressive agent they can and squeeze every penny out of every opportunity they can. With their earning power diminishing by the time they’re 33, they need to make it while they can, because all but the greatest, the smartest and the luckiest get spit out the back with a lot more than half of their life ahead of them. Also worth considering, while we read and talk about broadcast rights and, thanks to the guy with the sideburns, the exceptional brand recognition return on the euro/pound/dollar, professional sport has another value to it’s investors that few people ever discuss. Sporting events, regardless of whether the venue is a stationary stadium or a traveling venue like a GT, are a place to discuss and make business deals. The game and the athletes are like the lure on a fishing hook. So, when it seems as if a team is just a big waste of money, think again; there are clients being impressed and pampered, deals being discussed and partnerships being forged in every sky box, team car and temporary sponsor hospitality center. Until UCI manage to create a Viable ” Ten Year Plan Scenario “, teams will continue in the Loss Making/ Hand to Mouth manner . With UCI training of ” Key Team Personnel ” already being required , the time is coming where the ” Old Boys ” with a ” tainted past ” can be removed . Current Racers would do well to ensure they do not complicate their future by straying from WADA requirements . When a ” Sense of Certainty ” becomes Matter of Fact , Corporate Sponsors with ” Big Bucks ” will want to participate in Cycling’s Bright Future ? You left at least one team off the list of those with wealthy benefactors, and you may have some invalid assumptions about how those teams stack up financially within the WT, but overall it’s still a good analysis and for the most part, accurate. You may over emphasize the importance of the bank guarantee. Yes, it is a lot of money at stake, but it is not money that is actually “spent”. Rather, it is a standby fund that has to be collateralized by the team, one or more of its principals, or its sponsor. Unless something goes wrong, that standby is never drawn upon and the money is not actually spent. The collateral (which indeed could be cash deposits) remains on the balance sheet of who ever collateralized the credit note, and that collateralization is between the bank and the owner of the collateral, not the UCI. A more daunting aspect of the bank guarantee is the amount of leverage it gives the UCI over the teams, since the UCI has sole unrestricted authority to draw on the bank guarantee and is not required to justify its decision in any way. This is all merely off the top of my head but – would it help, or hurt, cycling? This is definitely not true in cycling. Because these sports are true leagues, whereas cycling is not. I don’t agree that paying money to the competitors – without whom there would be no sport – is money flowing out of a sport. I can see why a team owner would think otherwise, but it’s not unusual for owners to resent paying their employees more than they absolutely have to. Even if a salary cap was legal in the EU, it would be incredibly difficult to enforce in a multinational competition such as cycling’s world tour. How would you even set the level of the cap, given the different tax arrangements in the US, Kazakhstan, Russia, Australia, Monaco, Switzerland and all the various EU countries where riders are based? Not just where they’re based: some countries will make you pay tax on earnings in that country no matter where you’re from. It’d be a nightmare to sort out. You could also see a scenario where a team goes over their salary cap because their riders win more races than expected (and their share pushes them over). Performance punishment, anyone? And one obvious extra point. It’s said that long and hard races encourage doping (which is pretty untrue, as doping seems to happen regardless of the course). But big money certainly encourages doping more than anything. Not that amateurs won’t dope (many probably do), but for pros money is not only a huge incentive, it also helps afford medical expertise and treatments. Chinese EPO available very cheaply on the internet, as are various types of steroids. Its a fallacy that doping requires huge bucks. I think the point is that the more corporate dollars that are at stake, the more pressure there is to win and therefore the urge to do whatever it takes to win becomes stronger. For example, the average person wouldn’t dope to win $100 at a local C-Grade crit, but put $1m up for grabs and watch people have a long, hard think about it.